Merry Christmas download pattern is a 64 page PDF file you download and print on your home printer. 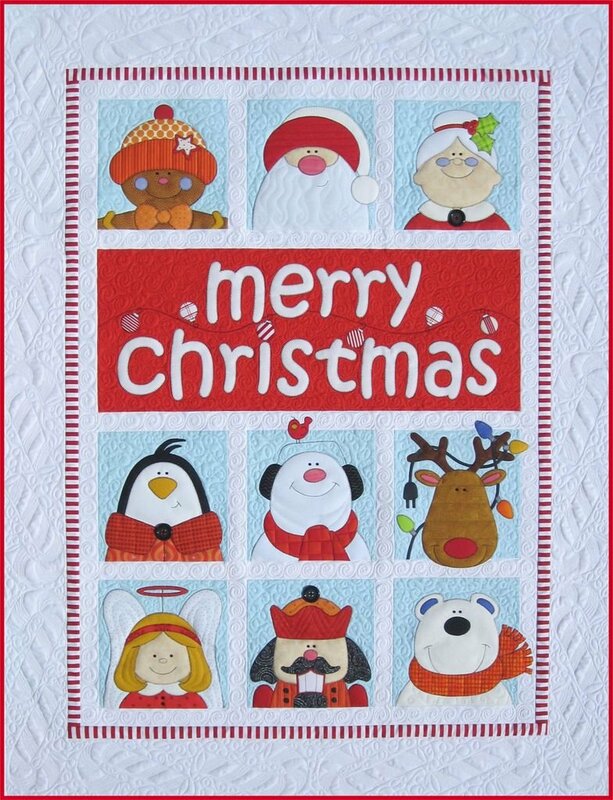 The Merry Christmas pattern includes instructions, patterns, & placement sheets to make the 48 1/2" x 62 1/2" quilt. Also includes instructions to make the nine block Nutcracker or Penguin versions.